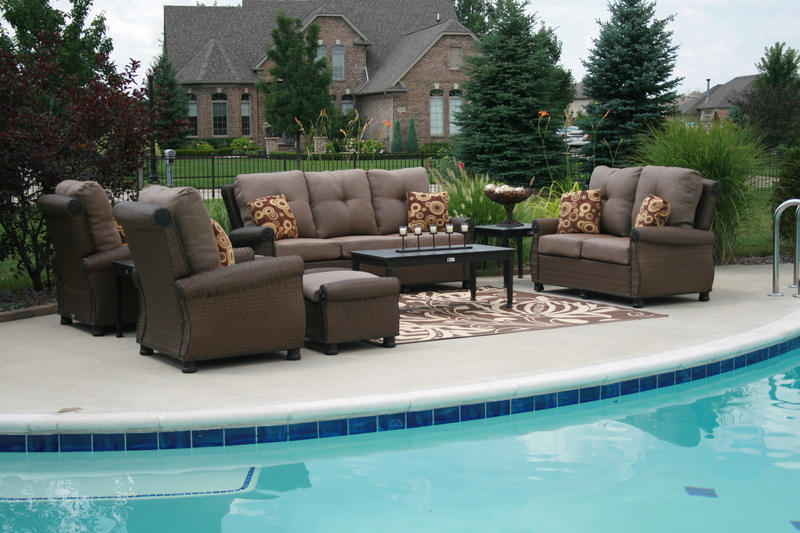 Don’t put away your patio furniture too early as some of the most comfortable days of outdoor living lie ahead. You may find yourself wanting to be outside more in the early fall than the midst of summer. Check your options. No matter what the material, everything lasts longer if you can find space for it in a basement, garage or shed. If this is not possible, you can also buy inexpensive and sturdy covers that keep some of the effects of the elements from aging your patio furniture. Power wash wicker with a gentle spray to remove the dirt from the loose weave. Store under a roof if possible. Clean metal by drying it and rubbing off any rusty spots with a little oil and a soft cloth. Brush loose debris from umbrellas. Move what you can inside. For those items that stay outdoors, invest in good fitting covers. Move what you can inside and buy inexpensive patio covers for the items that are left outdoors. Chairs can be stacked and moved inside or covered with plastic. Anything made of resin can be wiped clean with a soft cloth and soap and water. If you use chair covers, check them after every downpour or snowstorm, since even watertight covers can leak and cause water to pool.